The Sixty-Two is the ultimate plug-and-play package supporting two-deck digital vinyl simulation, software controls, two USB ports for easy DJ transitions, onboard beat effects, software effects insert and all the record and playback channels you need. 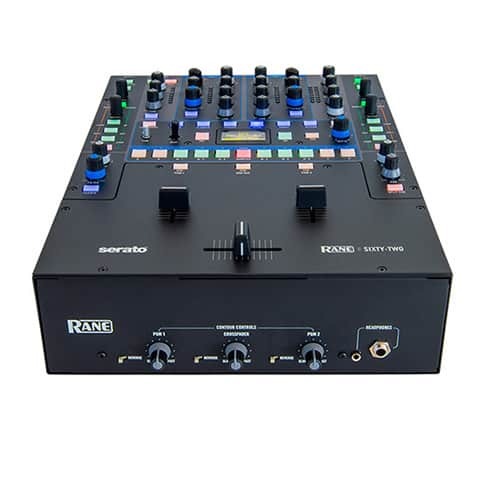 The Sixty-Two Mixer supports both analog and Digital Vinyl Simulation (DVS) playback. Serato DJ software and a printed manual are included, and the mixer is backwards-compatible with Serato Scratch Live. 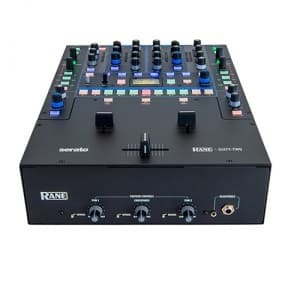 It includes Rane’s ASIO and Core Audio drivers to use with all the other popular DJ and DAW programs. Two Serato Control Vinyl Records and two Serato Control CDs are included. Take advantage of the Sixty-Two’s tight integration with Serato DJ or Scratch Live and control the software from dedicated, MIDI mappable controls right on the mixer.